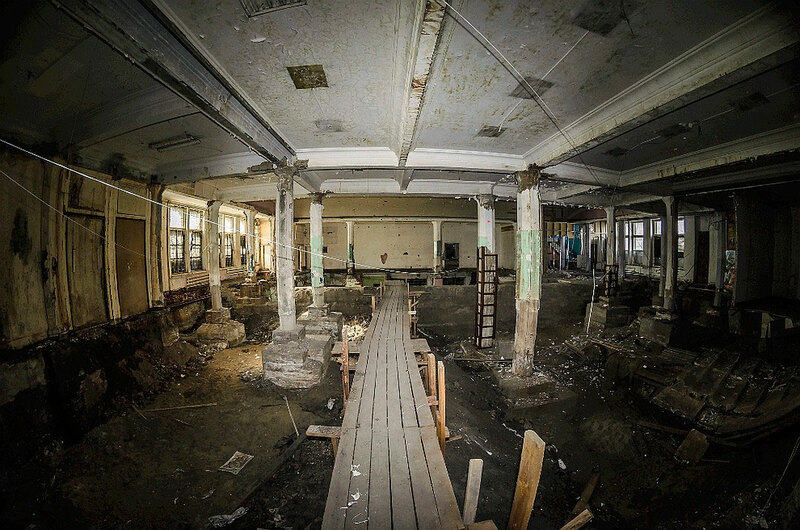 In December 2018, the state’s public procurement website announced that contractors were invited to bid on a project to modernize and repurpose the “Rodina” cinema, located in Murmansk at 26 Leningradskaya Street. The municipal budget would allow 22.2 million rubles (about €300,000) for the documents for the project and the contractor was required to conduct a full analysis of the building and its supporting structures and networks as well as provide estimates and architectural planning solutions, which were subject to a number of conditions. Among these conditions was that the cinema hall had to be converted to an actor’s theatre with at least a 400 person capacity and that a recording studio and a new elevator had to be installed. The 1000 seat Rodina cinema has been around since 1930 but has stood basically unused for the last 30 years. But the building’s decay accelerated significantly in 2007 after being leased to Shahin Karimov’s “Moisei” real estate development company. Five years later, city authorities denounced the developers as “destroyers of the historic building” and that they had failed to do any restoration work as promised. The city then began the process of terminating the lease agreement. From the press releases of that time it followed that “the floors and entrances had been destroyed, the basement demolished to the foundation and the external walls needed to be repaired”. That is, though the shell remained, almost everything inside the building was unsalvageable. According to the Engineering Center’s survey, two thirds of the premises of the building could no longer be used as a theatre and just over a thousand square meters had simply ceased to exist. And at the beginning of October 2014, another report prepared by the “Regional Construction Valuation Center” JSC, stated that restoring the cinema back to its former glory would cost €5.4 million. But still, they could not get started. As this new project began, Mr. Kerimov reappeared claiming that his signatures had been forged in the lease termination agreement. In retaliation, the city initiated inspections of the Kerimov’s “Moisei” and “Pharaon” shopping centers and Kerimov found out that the first one had an illegal extension on the sidewalk and the second had supporting structures in the basement of the adjoining apartment building. Finally, at the beginning of 2015, the Oktyabrsky District Court’s decision to annul the 2008 lease contract between the MUP “Murmansk Film Production Company” and “Moisei” LLC became official. According to the court’s decision, the tenant company had failed to restore the cinema, a building of significant cultural heritage, as per their contract and had instead left it in catastrophic disrepair. However, though significant restoration was needed, the tenant could not be held liable as the “Moisei” company, ironically enough, had already declared bankruptcy. And as for the current situation, it is difficult to place all the blame on Shahin Kerimov. He had built his business with the help of his three brothers but they were not around to help with the theatre. One was killed a few years ago , the second received a serious prison sentence for a relapse with drug trafficking and the third had a run in with the law when, after his Lexus was taken in lieu of outstanding debts, he tried to get it back with the help of several friends with weapons. So, the Rodina, built by Murmansk pioneers to provide simple pleasures, has a less than simple story to tell.